Jamaica Plain hosts an event put on by the organization JP Centre/South Main Streets every first Thursday of every month from May to September in which local businesses, local artists, and musicians open up to the community and neighborhood. It's a beautiful neighborhood and a ton of people are out and about enjoying themselves. 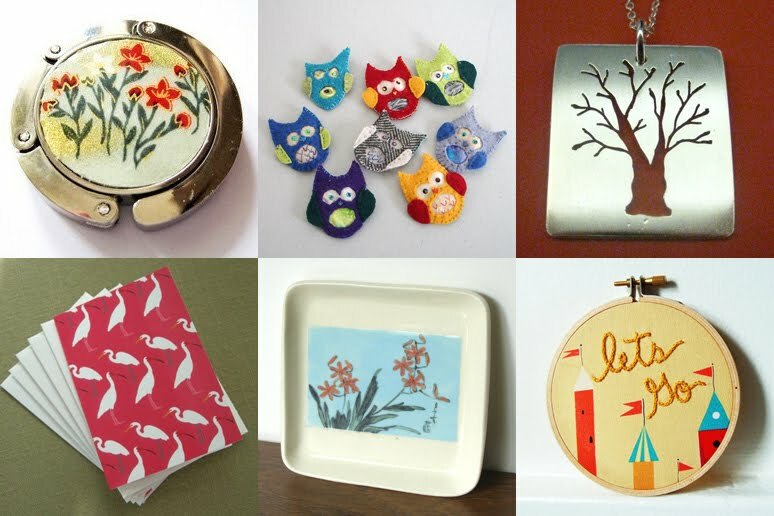 This will be Boston Handmade's fifth year participating in the Artisan Fair for First Thursdays. Come see us this Thursday, Sept 1, at 633 Centre Street, next to the Jamaica Plain post office, from 6-8pm. And Jessica Burko of Boston Handmade will be selling our freshly designed and printed Boston Handmade T-shirts at the show as well. It will be a lovely mix of jewelry & accessories, apparel, ceramics, embroidery and paper goods. Hope to see you there!